The 2017 Volkswagen Golf R Review: This is a car most folks wouldn't give a second glance. It’s a tiny hatchback, the kind a high school algebra teacher would drive because it's sensible, practical and economical. Or so you'd think. Look under the skin and you’ll find something remarkable. This sensible-looking car comes with nearly 300 horsepower, a crazy-low suspension setup and brake discs the size of Trump's ego. It's insane. It's ridiculous. It shouldn’t even exist. Yet it does, with a name just as unassuming as its hatchback body: The Volkswagen Golf R. But what a difference that letter can make. This pumped-to-the-max flavor of the Golf is a radical departure from the ordinary version, which is known around the world for being efficient and cheap to own. That’s what makes the Golf one of the globe’s most popular car models. The R takes everything that makes the Golf a mass seller and turns it on its head. Efficient engine? It’s swapped out with something that feels like it belongs in a race car. Good fuel economy? The Golf R is rated for 22 mpg in city driving, the same as some Chevy pickup trucks. Affordable price? The R costs about double what the base Golf does, ringing up a price uncomfortably close to $40,000. That’s a great deal for the performance you get, but still a lot of money for a Golf. As a result, I can’t imagine Volkswagen will sell more than a handful of these cars to a small number of rabid enthusiasts. If VW’s business office had its way, whoever OK’d production for this car would be put in a mental hospital. But I think that person deserves sainthood. While the business case for the Golf R’s existence is hard to make, the emotional case is easy. This is such an over-the-top, wild vehicle to drive that it makes you fall head-over-heels in love with it from the moment you press the gas pedal. With 292 horsepower on tap, this small, lightweight hatchback takes off like it was shot from the barrel of a cannon. And with with VW’s 4Motion all-wheel drive, it doesn’t even struggle getting all that power to the pavement. There’s barely a chirp as you take off, even when cranking the engine and abusing the clutch from a dead stop. You’ll pass 60 mph in just 5.3 seconds, or even faster with the optional DSG dual-clutch automatic that shifts at superhuman speed. It does 0-60 in 4.9 seconds. More than a drag racer, though, the Golf R is incredibly fun in corners. With a taut suspension that lets the body ride close to the ground, it makes every turn feel line an amusement park ride. Grip from the four tires is mind-blowing. Whenever I drive heavily tuned cars like this, I always expect them to have the rock-hard washboard ride of an old Subaru WRX. 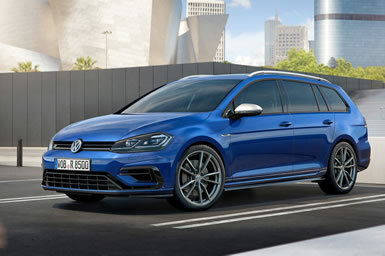 While it’s firm and controlled, sure, the Golf R also has a reasonable amount of compliance in its suspension tuning to keep it livable for highway trips. It lets you have fun at speed, but it doesn’t beat you up in the process. Then there’s my favorite thing of all about the Golf R: most drivers don’t have a clue what it is. Cars this fast tend to be flashy, begging for attention with giant wings, hood scoops and eye-catching graphics or paint. They scream out to make sure everyone around you knows it’s a fast car, which can be fun for kids but is a sure-fire way to make you look like an idiot if you’re older than, say, 17. The Golf R can out-accelerate and out-handle the vast majority of cars you’ll see on public roads. While car geeks can tell right away that it’s something special, with a unique bumper, bigger air inlets, a rear diffuser and subtle R badging, most drivers will never have a clue. Why buy it? It’s one of the fastest cars on the road but doesn’t make you look like a teenage idiot when you drive it. 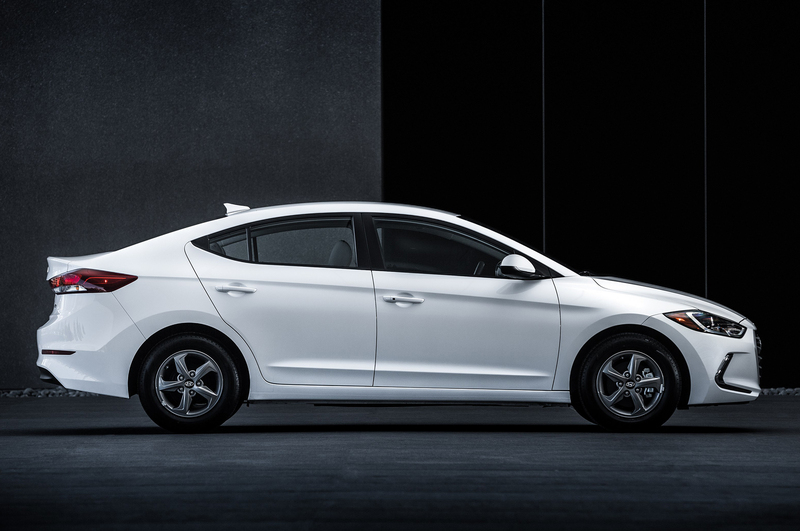 It has tasteful, conservative styling and performance that’s just the opposite, wild and rebellious. The Bottom Line: The 2017 Volkswagen Golf R has subdued looks with unrestrained performance. The enthusiasts will notice the cues right away, a bigger air intake, the unique front bumper, and subtle R badges. These set the super-fast Volkswagen Golf R apart from its economy car cousins. Inside boasts new front sport seats, unique logos and special “carbon touch” trim that help give the Golf R’s interior a high-performance look too. Yes, the Golf R is the ultimate sleeper, the kind of car it takes an insider to appreciate. And I love that about it. And maybe, just for those reasons alone, you should “Drive one, Buy one, Today ©”.